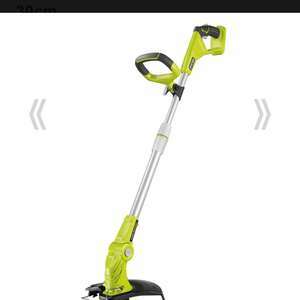 The Ryobi 18V Line Trimmer is the perfect outdoor partner, offering easy maintenance of your lawn and edges. The unit is versatile and user friendly, providing impressive performance while being lightweight and robust. It boasts increased run time as well as a 2 in 1 rotating shaft, meaning you can convert from line trimmer mode to edging mode in seconds. Price is £25 to put in the title. Just been to my local homebase. They don't have any of the price reductions in store. Took one to the checkout for a pricecheck, it's still at full price.